I have children in every learning level in our homeschool, so its always nice when I find an online curriculum supplement that pretty much everyone can use. 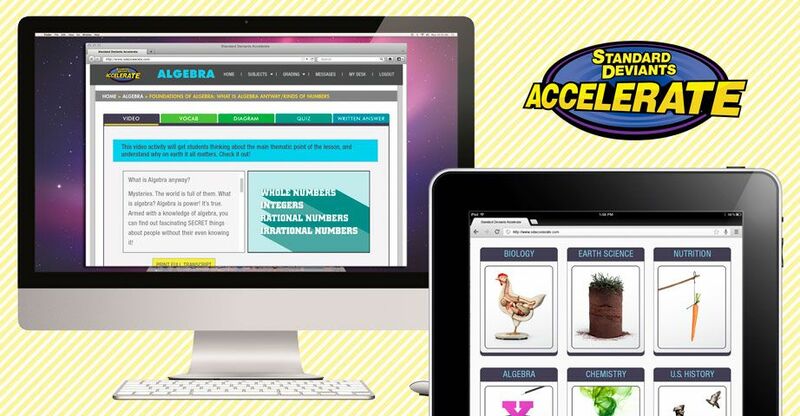 A few weeks ago, the girls and I received a full annual subscription to try out the Homeschool Courses from Standard Deviants Accelerate . 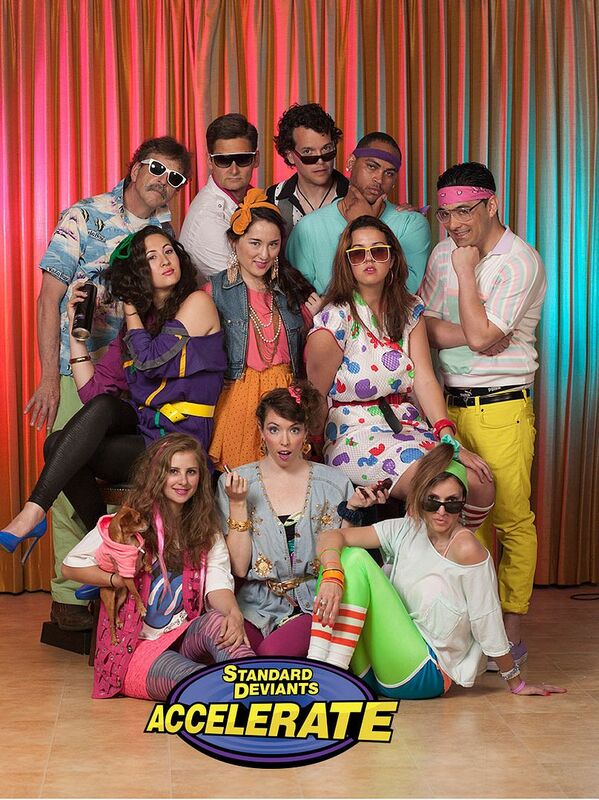 Standard Deviants Accelerate was created over 20 years ago by two college graduates whose golden idea was to record full academic courses, but in a funny and memorable way. The brands clever name is actually a play on words based off the mathematical term “standard deviance” or “standard deviation,” which means the variation from the average. Pretty clever, if I do say so myself. 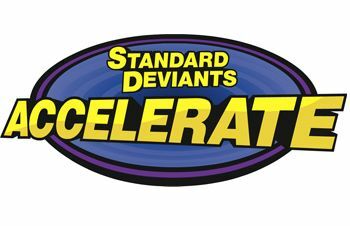 Standard Deviants Accelerate provides secular supplemental online homeschooling programs for children in grades 3 and up in English, Math, Science, Social Studies. There is also AP Test Prep available for the Juniors and Seniors. As noted above, the content is secular in nature, especially in the science courses, so use your discretion for your family. However, for my family, we were able to get around that as we used the program. Primarily the courses offered are recommended for children 8 years old and up, but you the parent will know where to place your child. Pricing is based per course for use by one student for just $9.99 a month or $745.00 one time payment for lifetime access. A great feature/option if you are homeschooling multiple children. Getting started was really simple! Each user will need their own separate email address to log in and get started. Originally I planned to use this program with several of my girls in different courses. However, there are only so many hours in a day so I decided to focus on just using this with Madison, focusing on Algebra. Once set up it was easy as logging in and clicking on the correct tabs to get started. The Algebra section has 7 sub-sections with topics ranging from Foundation of Algebra, to polynomial and factoring and quadratic equations. Each section of each lesson is broken down into five different parts. Video ~ watch the video and follow along with the transcript on the screen. You can even print the full transcript out if you are a paper person who likes to have a copy on hand. There is a not taking feature also and you can also save the notes in your “locker” or print them for reference. Vocab ~ this section lists the essential terms needed to know while working the lesson. There is a handy feature to click on the speaker to hear the pronunciation of the word and the definition. This would come in handy for those with audible learners. Diagram ~ This section is interactive and lets you drag and drop words and clues from the word bank to complete the puzzle. The program keeps track of how many tries it takes you to get the placement correct and only the correct answers will “stick”. 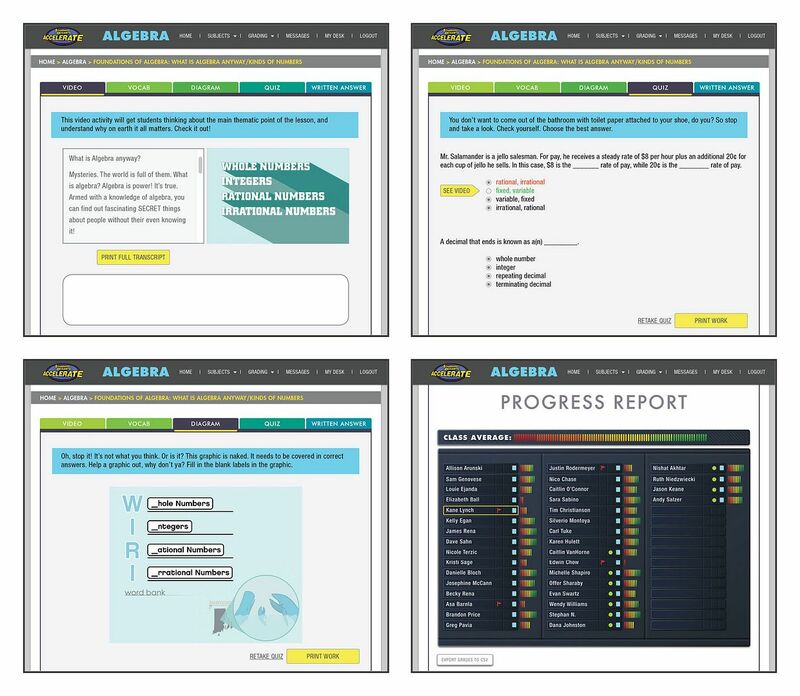 Quiz ~ a short quiz section helps to test your knowledge on what you have previously learned. Submit your answers and they are graded automatically. Plus if get any wrong you can see a short video showing you the correct answer. Written answer ~ a short section that correlates with the topic you just reviewed. Simply read the question and the jot down a couple of sentences to answer. Overall, I am completely pleased with this program. It is a valuable tool for our family and it works great as a supplement. Madison has been able to shore up her Algebra skills using the program 1-2 days a week depending on our schedule. That makes this Mama happy! Be sure to check out what my Crewmates thought about this program and the courses offered by clicking the banner below.